The Pennsylvania Senate Education Committee has passed SB 2 a bill that increases the prevalence of school vouchers. POWER, PCCY ( Pennsylvania Citizens for Children and Youth), Education Voters of PA, and many other education justice groups are calling for citizens to write their Senators to vote this bill down. For more information, you can go to this link. What follows is a letter I sent to my State Senator Tom McGarrigle. You are free to use it as a model to write yours. Don’t sit back; this bill, like so many actions by the legislature related to education, is a thinly veiled attempt to privatize all education, thereby removing quality education as a right and making it yet one more commodity to be bought and sold on the open market. Democracy is based on shared values, basic rights and a belief in the Common Good. This bill seeks to undermine those principles in the name of a “freedom” that serves the well-to-do at the expense of the rest of us. Please write your Senator! I am a strong supporter of public schools. I am a product of public schools and all three of my children graduated from Marple-Newtown High School. Moreover, I am a member of POWER which has advocated for the fair funding formula that was enacted in 2016 and also pushed for increased funding for public education overall. Public schools are part of the contract as citizens of the state and country. Schools should not be put in a competitive system, thereby creating winning and losing schools and students. Therefore I am urging you to oppose SB2, which will increase the number education savings accounts, otherwise known as school vouchers. 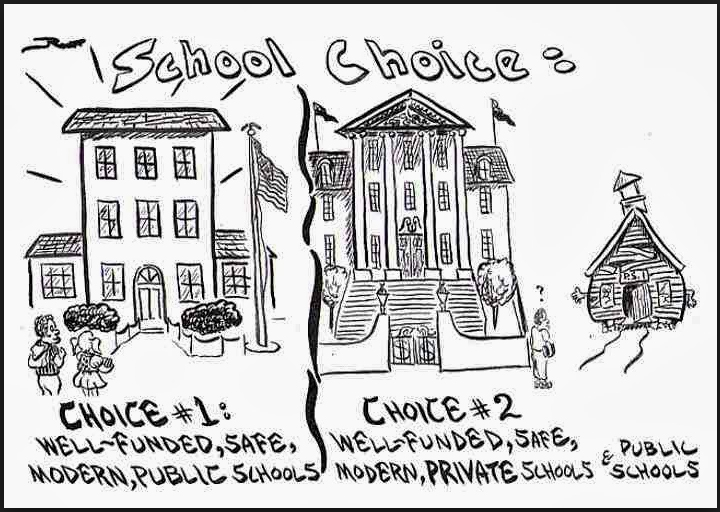 While often touted as giving parents and students choice, vouchers actually take money out of the public sector and into the private education sector, thereby undermining the ability of public schools to do their stated role. Rather than provide the needed increased funding for public education, they further deplete the much needed resources available for public schools. They also further undermine the purpose of the school funding formula adopted in 2016, which is designed to create equity in funding across the state. Also, the amounts provided by vouchers do not help the most financially vulnerable, as the cost of private and parochial schools must be supplemented either by scholarship or out of parents’ pockets. The true winners are the owners of private schools and not the students. in essence, SB 2 is a thinly veiled attempt again to benefit the rich at the expense of the poor. Moreover, the process by which this bill has come to the Senate floor is ethically reprehensible. The bill was not able to get out of the Senate Education Committee in the fall until Senator Eichelberger petitioned the Republican leadership to have the makeup of the committee change, and so SB 2 was passed out of this newly constructed committee. this spring. Not only this an incredible act of political malfeasance, it also serves to further the agenda of those who seek to undermine the public school system overall. This bill seeks to benefit the education of the few at a huge cost to the many. I urge you to vote no on SB 2 and show yourself as a true supporter of the public schools in your district.